Who are the 10 highest paid or best paid Nollywood actresses in Nigeria today? No doubt, Nollywood actresses that have starred in blockbuster movies such as Ije – The Journey, Last Flight To Abuja, Phone Swap, The Mirror Boy, The Figurine, Tango With Me, just to name a few, are one of the best paid actresses in Nollywood! A Nigerian actress that gets more (lower budget) movie roles can still rival those that star in few higher budget movies in Nollywood. There's a saying that little drops of water makes a mighty ocean. Chika Ike for example can rival Genevieve in terms of money earned from Nollywood. Best Paid Nollywood Actresses: Who are they? Two of the best paid actresses in Nollywood are no doubt, Genevieve Nnaji and Omotola Jolade Ekeinde. Nollywood fans, bloggers, and media outlets, often compare the two beautiful actresses especially in terms of fame and wealth. It appears the comparison began when Omotola and Genevieve played a remarkable role as sisters in the top-selling Nollywood movie "Blood Sisters". Both actresses were paid handsomely for their performance in the hit movie. Another hit movie that paired both actresses again is the award-winningNollywood international movie 'IJE – The Journey' which grossed N47 million from six cinemas across the country i.e Nigeria. The Nigeria Movie Network team gathered from sources Omotola and Genevieve were paid roughly N5 Million naira (over $30,000) each to be stars of the movie. Currently, Genevieve Nnaji and Omotola J. Ekeinde are the most expensive actresses to hire for professional interpretation of scripts. These two ace actors are said to charge between N2Million to N10Million naira on average, to feature in a Nollywood movie. Gone are the days when Nollywood producers could hire Omotola and Genevieve for lead roles for as little as N500,000 naira. These days, you have to be talking millions to get the attention of the duo. With that said, we estimate Genevieve Nnaji and Omotola J. Ekeinde to be worth well over N200Million naira ($1.5Million US dollars). This rough estimates puts into consideration the number of films both actresses have starred in over the years, their international features in the US/UK, endorsements and so forth. Genevieve Nnaji: Paid between an estimated ?3million – 4.5million naira per movie script. Omotola J. Ekeinde: Paid between an estimated ?3million – 4million naira per movie script. Stephanie Okereke: Paid between an estimated ?2.5 – 3.5million naira per movie script. Mercy Johnson: Paid between an estimated ?1.5 – 2.5 million naira per movie script. Ini Edo: Paid between an estimated ?800K – 1.5 million naira per movie script. Patience Ozokwor: Paid between an estimated ?850K – 1.5million naira per movie script. Rita Dominic: Paid between an estimated ?800K – 1.5 million naira per movie script. 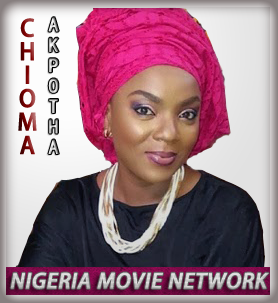 Chioma Akpotha: Paid between an estimated ?1million – 1.5 million naira per movie script. Funke Akindele: Paid between an estimated ?750K – 1.5 million naira per movie script. Chika Ike: Paid between an estimated ?1 – 1.5 million naira per movie script. Though our intention with this article is to only showcase just 10 of the highest and best paid Nollywood actresses in Nigeria, we would like to add that of controversial Nollywood actress Tonto Dikeh as a bonus. As crazy as she may appear to be, she is definitely special. Without further ado, Tonto Dikeh is estimated to be paid around ?500K – 1million naira per movie script. In regards to the worth of the highest and best paid Nollywood actresses featured in this list, we are not going to call out individual names and their estimated worth. However, the 10 (+1) Nollywood actresses showcased on Nigeria Movie Network are worth well over ?100 million naira on average. If 2,000 movies are produced in Nollywood annually and each of the Nollywood female actors mentioned above stars in at least 40 movies per year on average. If paid ?1million on average for each movie, then each actress is estimated to bag at least 40million naira per year from Nollywood not counting their various endorsements or individual businesses. As for Genevieve Nnaji and Omotola J. Ekeinde, they are the most popular Nollywood actresses and highly paid than the rest. Their estimated worth (considering their international endorsements) are between ?200million to 400million naira. Are there any other highly paid Nollywood actresses you feel should be included in this list? If that’s the case, let the Nigeria Movie Network team know by either shooting us an email or dropping a comment below with your suggestions. Thanks!